Dr. Edward Walton earned his BA in biology from Middlebury College and his MD from Dartmouth Medical School. He then went on to complete Emergency Medicine and Pediatrics residencies at the University of California, San Diego. He is board certified in Pediatrics, Emergency Medicine, and Pediatric Emergency Medicine. For 10 years, Dr. Walton was Assistant Professor in the departments of Emergency Medicine and Pediatrics at the University of Michigan. Currently, he is the Division Director of Pediatric Emergency Medicine at William Beaumont Hospital in Royal Oak, Michigan. Dr. Walton has been involved in camping and camp health research for twenty years, and his scholarly articles concerning camp health issues have appeared in major medical journals. Having served several summers as a camp doctor in New Hampshire, he now consults on camp health issues for the American Academy of Pediatrics and serves on the National Board of the American Camp Association. Dr. Walton has shared his youth development and camp expertise at medical and other professional conferences, in broadcast and print media, and on the Internet. Dr. Walton has received a variety of honors and recognitions for excellence in education, service, and patient care. 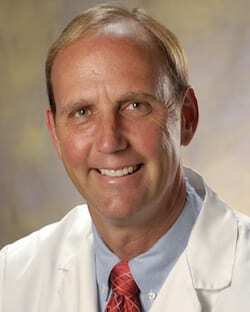 Most recently, the Michigan College of Emergency Physicians named him “Emergency Physician of the Year” in 2007. Dr. Walton is a longtime member of the American Camp Association.